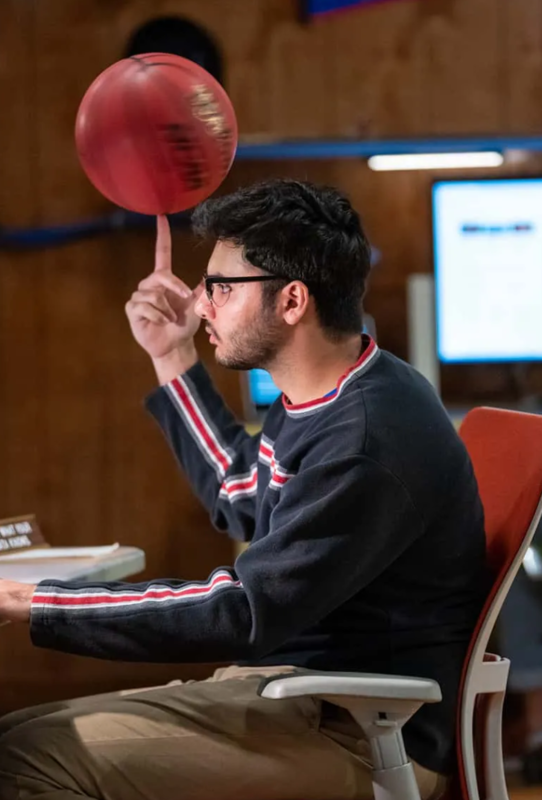 This week, notorious mixed reality company Magic Leap announced a new NBA “app” built on its platform. Any new platform’s success ultimately depends on people using it. And in order to be useful, it must offer utility. It seems Magic Leap is starting to get into the first of what it believes to be many applications of adding mixed reality layers to our physical world. For several years, they had talked about the device which would enable this. Now, they’ve finally turned to the platform on which to develop experiences. Could this be what the app store was to smart phones? Only time will tell, but it will be exciting to see how Magic Leap and its brand partners develop new ways to experience content and the world with an added immersive layer. Keurig of Cocktails or Juicero of Cocktails? Posted on March 29, 2019 by G.S. Drinkworks, a joint venture between Keurig and Anheuser-Busch transforms pods of distilled cocktails into single-serve drinks such as gin and tonics, Mai Tais and Old Fashioned. It’s price point, $399, reminds us of the now infamous Jiucero’s price, not cheap. Cocktail culture is thriving in the US as more and more Americans ditch beer and the industry giants are ready to play in the field. Each capsule will spout out a single-serve drink and act as an automated bartender for cocktail lovers and home entertainers alike. Why it’s hot: Pod machines are under more scrutiny since the Juicero scandal and companies have to bring a real products that really innovate to solve real needs to market. 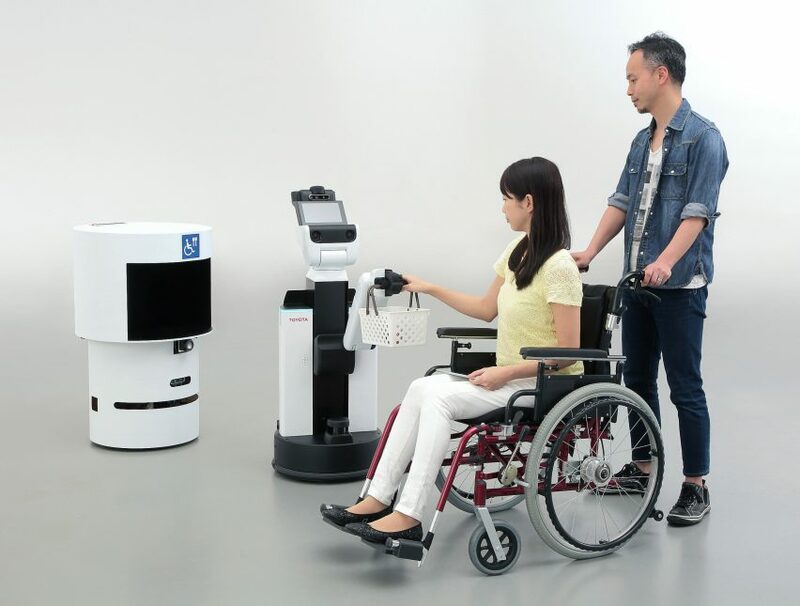 Robots made by Japanese automaker Toyota will be deployed across the Tokyo 2020 Olympic and Paralympic sites to provide assistance to workers and attendees at the Games next year. 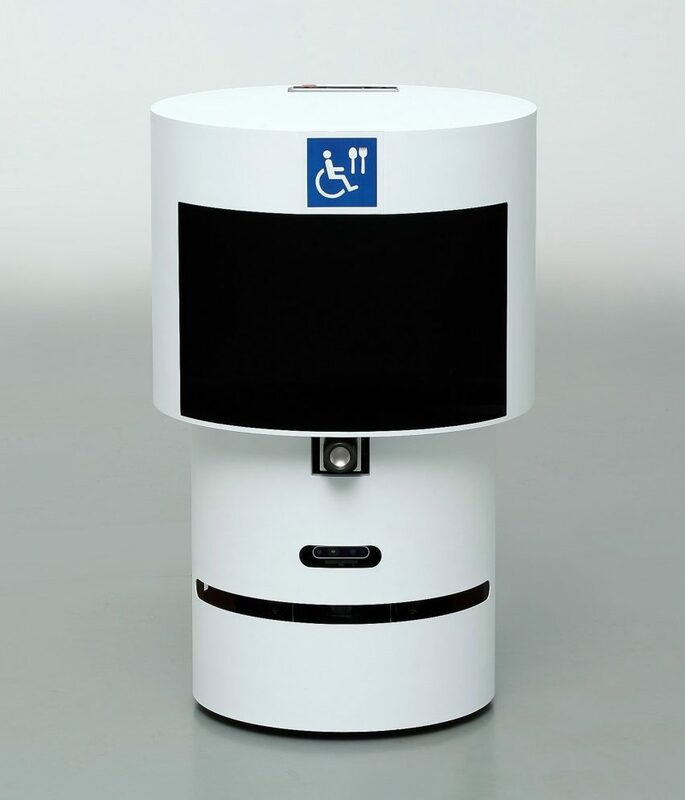 Toyota will provide 16 support robots across the Olympic and Paralympic Games to assist sports fans with tasks such as carrying food and drink, guiding people to their seats and providing event information. Both human support robots and delivery support robots will be part of the Games. 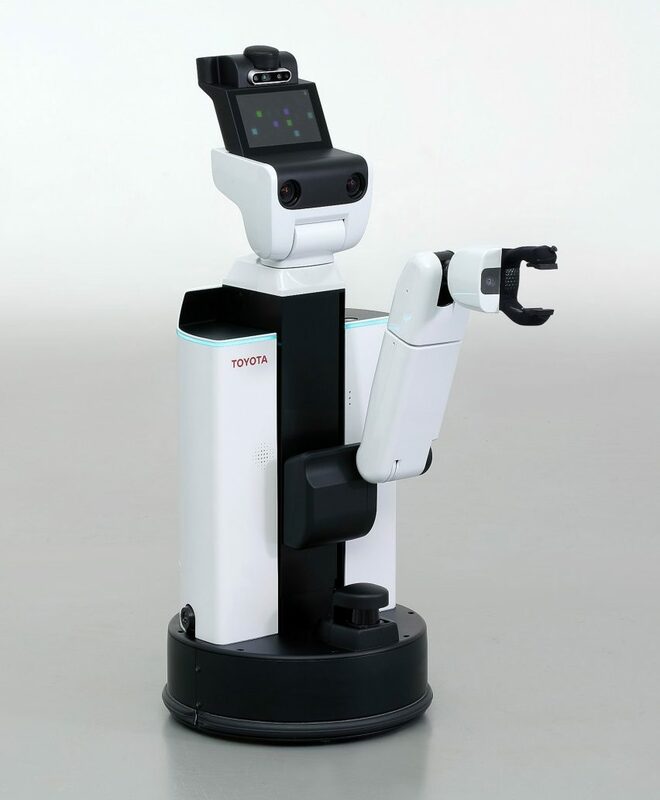 Toyota’s human support robot features an in-built arm for picking up trays and baskets and a digital screen for displaying information. Why it’s hot: Making the Olympics Games safer and smoother for everyone. The AI Judge holds a digital gavel: can you trust them? So, you have a small claims court 8K law suit against a neighbor. The verdict? In Estonia, it could be “guilty” from an A.I. judge. AI and Justice is a subject discussed from the most recent WIRED magazine: In Estonia, the 28-year-old chief of data sciences for Finland’s government, believes AI can make all aspects of government run more efficiently – to the benefit of saving money and serving citizens better. But while we hear about all sorts of efficiency applications of algorithms and AI, Mr. Verberg has a new challenge: he was asked to create a “robot judge” to handle small claims court backlog. Why is this hot? Well, first, according to the U.N., a formal system of Law is the backbone of a democratic society (along with a free press and open education to all people in a society). But does using AI instead of a human to make a monetary judgement undermine the belief in the fairness of the law? But as we all know, no matter what the backlog is, I do not see anyone trusting an AI judge with their 6k to 8K lawsuit — unless they turn Judge Judy into a robot. We’ve known Wal-Mart to change the game of business and it appears they’re thinking that way still/again. Using this one key fact, Wal-Mart hopes to leverage that to their advantage to beat Amazon. Walmart has realized the importance of this fact, the increasing consumer empowerment and are leveraging it into many different ways to help consumers get what they want, when they want it and how they want it. 1. Fast, customized deliveries: In order to do this, Walmart plans to have their stores double as warehouses. So users create shopping baskets online and schedule them for delivery whenever they want, adding items up until the night before the scheduled time. 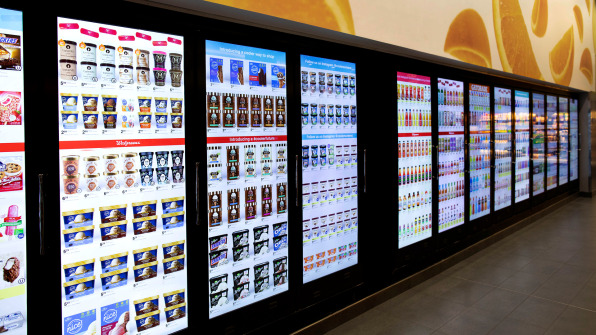 Plus: Walmart plans to use a machine learning algorithm to predict which items frequent shoppers will want every week. Apparently our habits make customization easy as a Walmart executive says that shoppers order the same items they ordered the previous week 85% of the time. Bonus: Given that most of the cost in e-tail is shipping, the proximity of a Walmart to most homes in the U.S. really helps solve that cost of the last mile that plagues many retailers. 2. 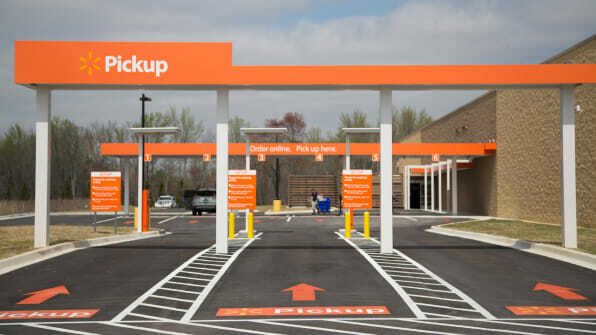 Convenient pick up: If you’re the type of customer who would rather click and collect, Wal-Mart can support that control and expediency that you want. 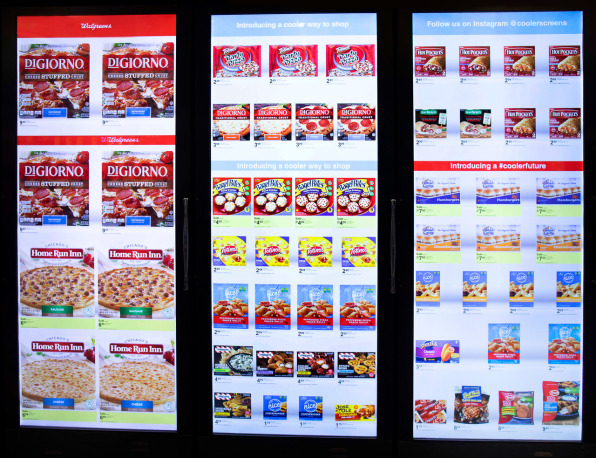 Walmart stores now feature large vending machine-like towers where you can pick up an online order, and lockers for even bigger delivery items. Bonus: Sure this sounds a lot like the Amazon lockers placed in convenient locations like 7-11. The problem for Amazon is that they have to rent that space the lockers are located on. Walmart owns their land, so there’s another area of profit advantage for them in the convenience game. 3. The stock problem: By making their stores double as warehouses, Walmart runs the risk of running out of a particular item faster than if it were just a store. But of course, they’ve thought of this. 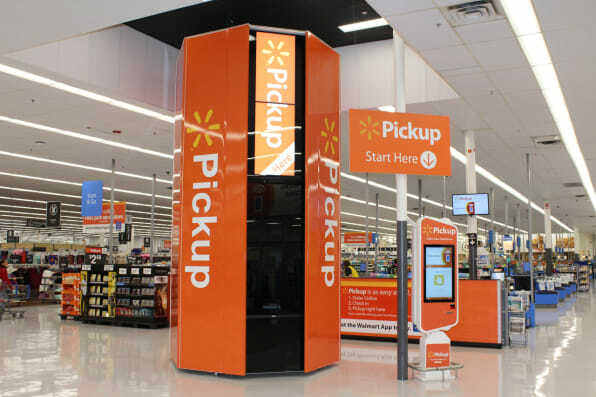 Walmart is rolling out a robot that is designed to look at inventory on shelves. Equipped with cameras and a map of what’s supposed to be on the shelf, the robots stroll around hunting for missing items. If it finds one, it alerts a store employee to restock the item or alerts logistics to bring more items in. While the increasing demands from consumers usually means more expense to businesses, Walmart realized that something true about their brand (their presence) could be an advantage. And their profits are trending upwards. In 2018, Walmart’s online sales grew 40%. 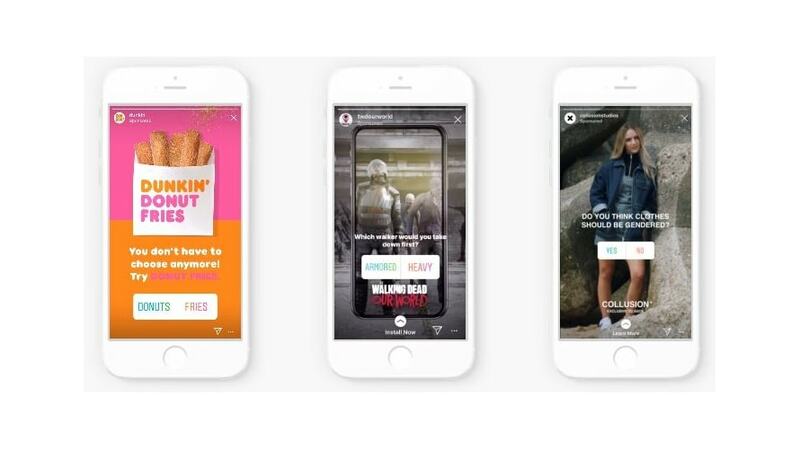 The new process takes Instagram’s ‘Shopping Tags’ to the next level – now, instead of a ‘View on Website’ button when you tap through, users will see a ‘Checkout on Instagram’ option, which will enable them to make a purchase right there and then, before returning straight back to their Insta feed. Right now, the process is being launched in closed beta, which means that it’s not available to all brands. In fact, only 23 businesses are participating in the initial trial, and the process will only be available to users in the US. Moving into in-stream payments is a big step, so it makes sense for Instagram to take it slow. 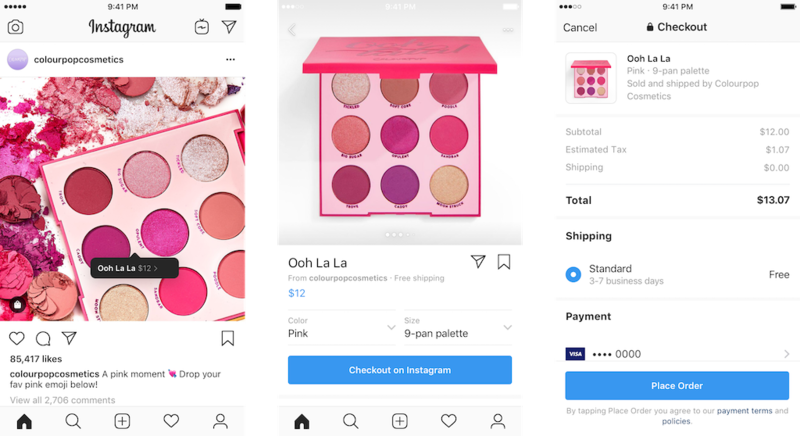 And on payments, Instagram will store your payment data after your first in-app purchase, and use that for future shopping, so you only need to enter your details once. Instagram is also charging businesses a fee for each transaction facilitated, giving it another revenue stream. And as the program expands, that stream could become significant. 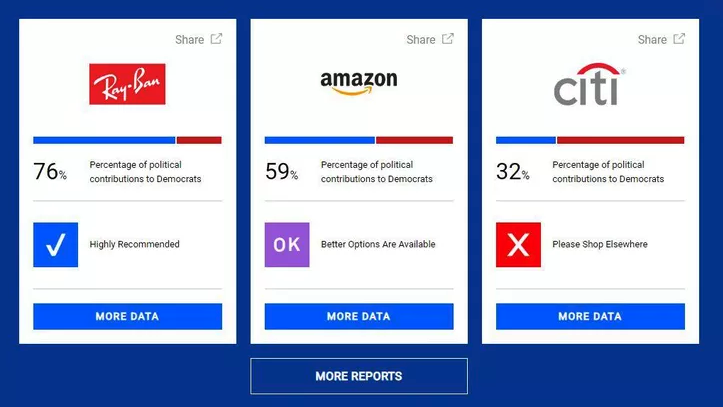 Progressive Shopper is a browser plug-in that reveals the political leanings of the brands and businesses you browse and shop. By aggregating political contributions made to the two parties, Progressive Shopper makes it easier for people who don’t generally consider themselves “activists” to follow the money and understand the impact of their purchase decisions. It begins with political contributions, but data related to every conceivable activity could eventually be similarly aggregated and used to reveal so much more about companies. Where do other charitable contributions go? How is a company’s operations contributing to climate change? 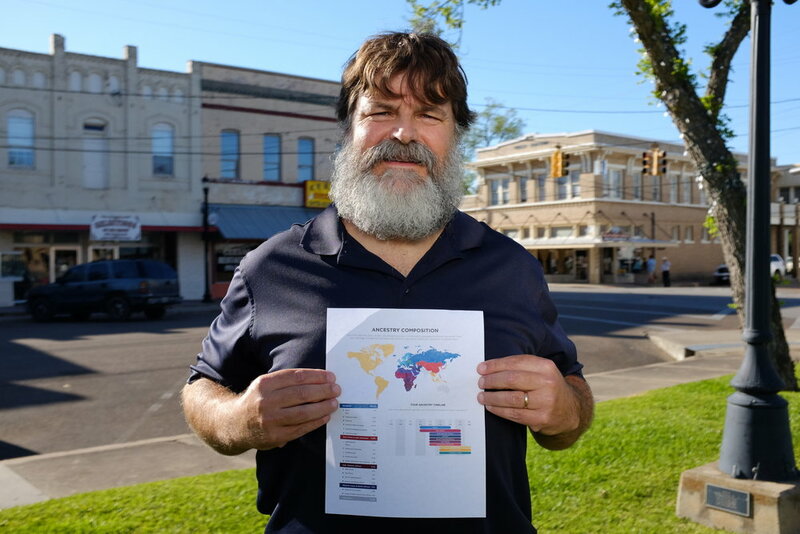 What connections exist with organizations and nations in the global economy? 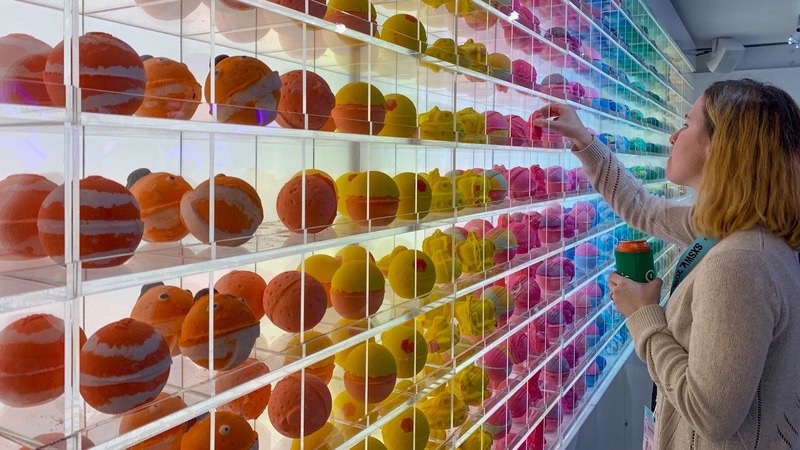 With information like this essentially waiting for customers “at the cash register”, it will become increasingly important for companies to pay careful attention to the decisions they make – taking a more active and nuanced approach to defining what their brand stands for. You probably remember your elementary, middle and high school history books. There were stories of conflict, resolution, triumph and innovation. 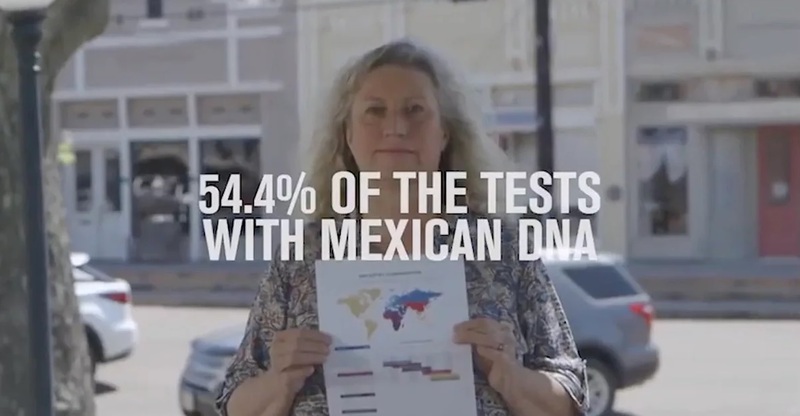 These are the stories of how the United States became the country it is today. And the main characters in most of these stories? Dudes. Studies show that 89% of the history textbook references reference men as the main characters. Stories about men, written by men for men. Some academics accuse history as literally being his story. But a new augmented reality app aims to bring the other half of the population into the picture, literally. “Lessons in Herstory” shows students that there are women to remember as well. If students scan an image of a male historical figure in A History of US, Book 5: Liberty for All? 1820­–1860 (California’s most popular U.S. History text), the app unlocks a story of an important female historical figure from that same period. For example, if you scan President Zachary Taylor, and you’ll see an illustration and story of Cathay Williams, the first African-American woman to enlist in the army during the Civil War, when women were prohibited from entering the military. The novelty of AR has led to many frivolous uses of it as the industry struggled and grappled with how to make it useful. This application shows off AR in the best way possible – literally allowing it to augment our history lessons to tell a full story. Plus, this quickly allows us to recognize more to our history without having to rewrite history books. Comment guard is a bot that can be applied to organic Facebook posts. When someone comments on a post, they automatically receive a private Facebook message. 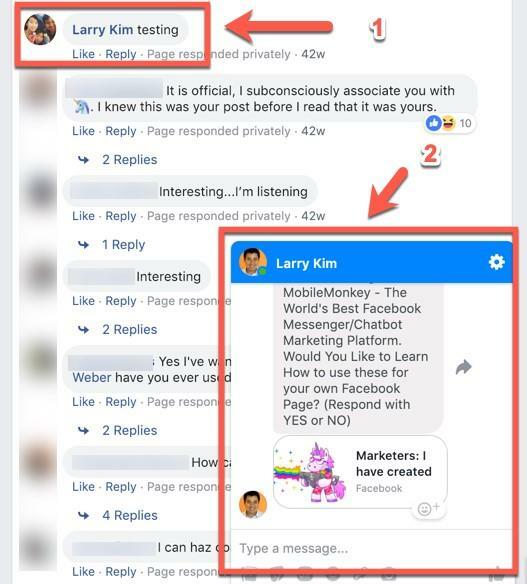 It’s a Facebook post-auto-responder that can be used to build relationships between brands and consumers based on the content in the comment. The consumer will only become a “lead” after they respond to the private message. Business A creates a post about designer sneakers. 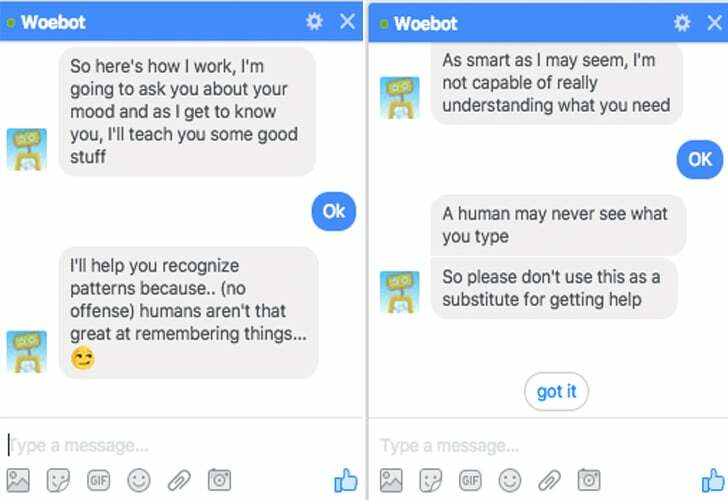 The bot scans the message for words like “want” or a phrase like “I want” and automatically sends the user information about the business and how they can acquire these hard to find sneakers. 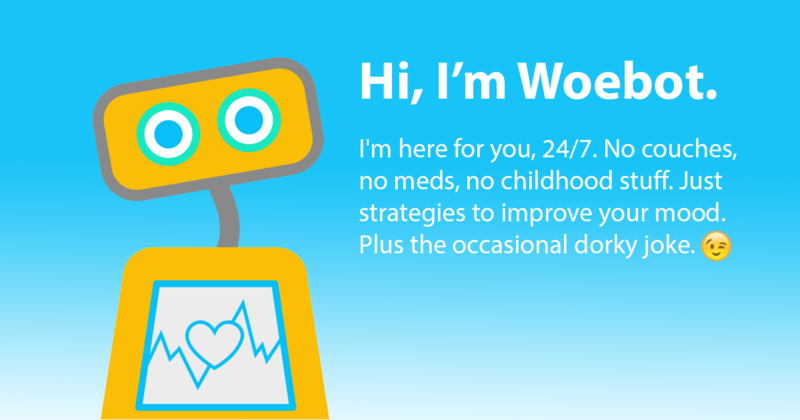 User A engages with the bot and a community manager can then take over the conversation and guide the user toward conversion. Twitter is rolling out updates to it’s camera feature in an effort to increase media-sharing on the social platform. 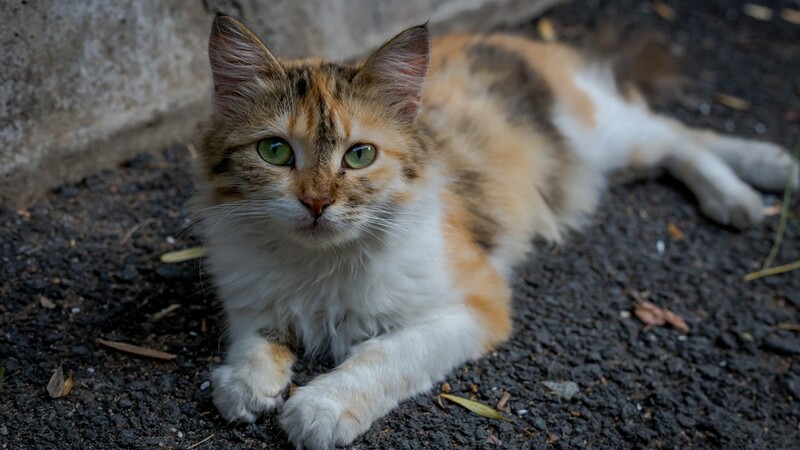 Up until now, the camera feature was buried in the tweet composer. Now it is available with one swipe left from the timeline. This update doesn’t mean Twitter is launching stories, instead, the platform is making it easier for users to share real-time content that adds another layer to their conversations. Users can add their own text to videos and images, and Twitter will also recommend popular hashtags based on geographic location. Why it’s hot: With Twitter’s reputation as a text-heavy platform, this update could change the types of content users are drawn to on this site. 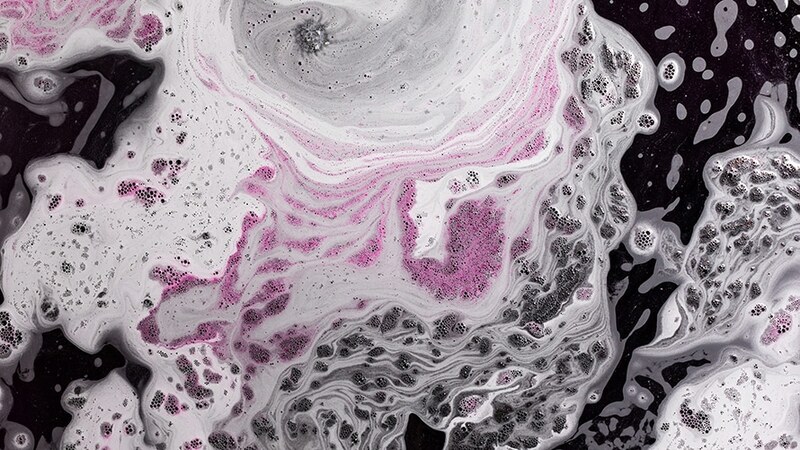 Users on each social platform typically engage with specific photography styles and imagery, but this precedent has not yet been set for Twitter. More media use will also make it easier for advertisers to place visual content on the feed. News broke this week of a vast college admissions cheating scheme in which wealthy parents paid hundreds of thousands to get their kids into elite universities by falsifying documents and test scores with the help and cooperation of coaches, and college and test administrators. 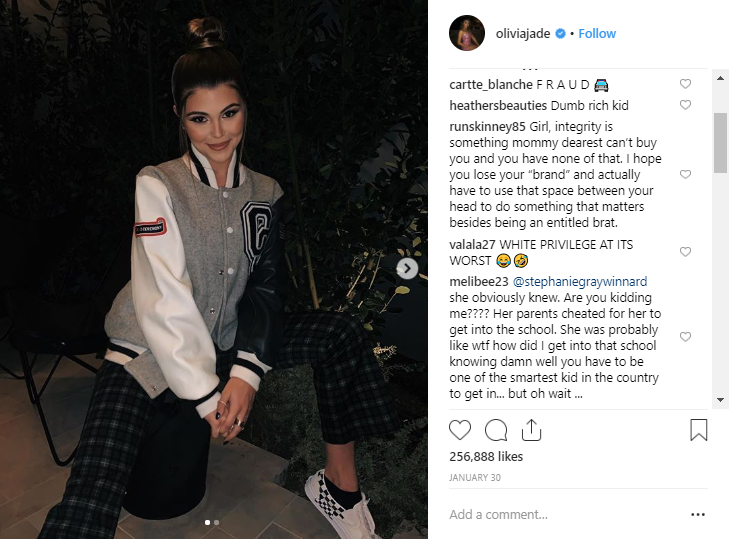 Olivia Jade, daughter of actress Lori Loughlin (Full House), beauty and lifestyle influencer to 3 million followers across Instagram and YouTube was one of the beneficiaries, and now her Instagram account is under fire. Why it’s hot: Reminds us that a potential brand crisis can come from the most unexpected places. 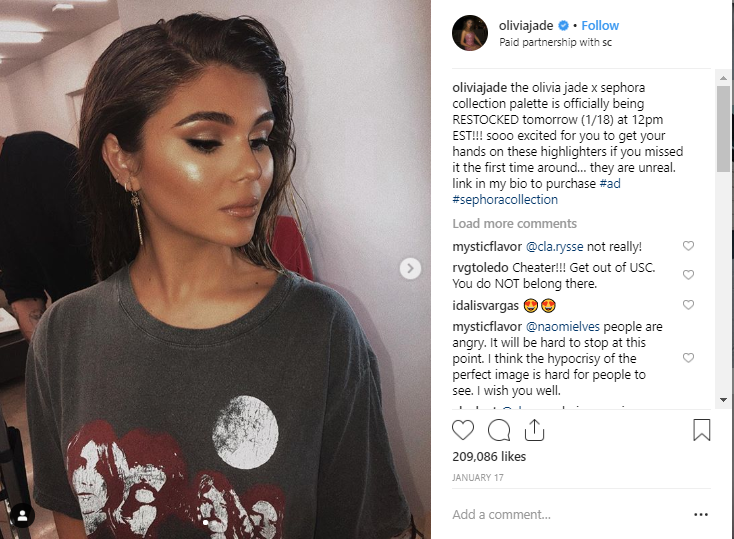 Brands that have worked with Olivia Jade include Sephora, Amazon and Tres Semme, though it’s likely they’ll be blameless here. Sheds light on the tangled web of personal + private that comes with the mainstream macro influencer. 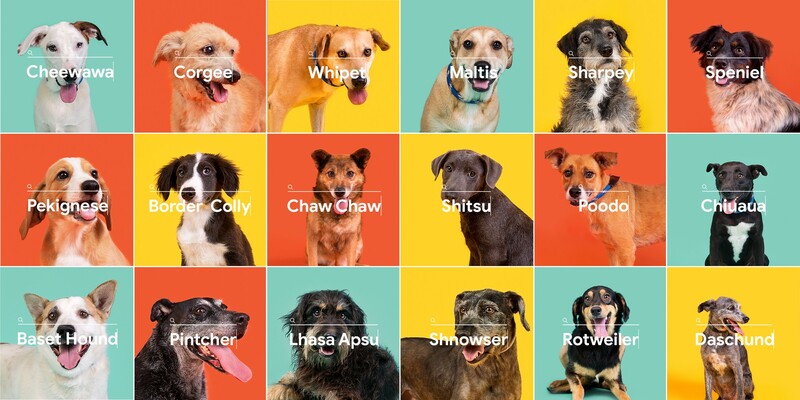 Last month, former Dreamworks film exec Jeff Katzenberg and former CEO of HP Meg Whitman finally announced a name for their stealthy new startup – Quibi (for “quick-bites”). Quibi is the latest addition to the increasingly crowded streaming video space, offering short-form video content designed specifically for mobile. While streaming services like Netflix, Hulu, and Cable Networks continue to battle-it-out for our 2 hours of attention on their long-form video content, Quibi believes they have identified a new niche of consumers in the rapidly emerging short-form video content space. Short term video content now consumes an average 70 minutes of our attention a day and growing, and now Quibi is betting that 20 minutes of that time will be spent on its platform. While platforms like YouTube, Instagram, and Facebook were built with and continue to thrive on original user-generated content, Quibi is promising users the quality they’d get from a big Hollywood production in the form of the short, bite-sized content you’d find on Tik Tok, Snapchat, etc. 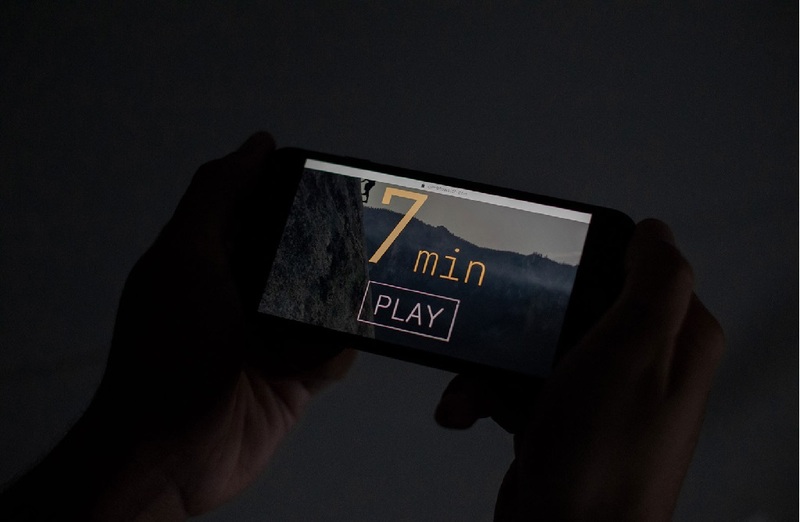 Traditionally, short-term video content is less than 60 seconds, but Quibi wants to take what would be, for example, a 2-hour feature film and unfold it over several multi-minute chapters. Imagine sitting down to watch a movie and only being able to watch eight minutes of it at a time. The platform promises to publish more than 100 pieces of this type of content every week, including both scripted and unscripted original content, exclusives from Quibi’s partner, and other daily news and sports programming. 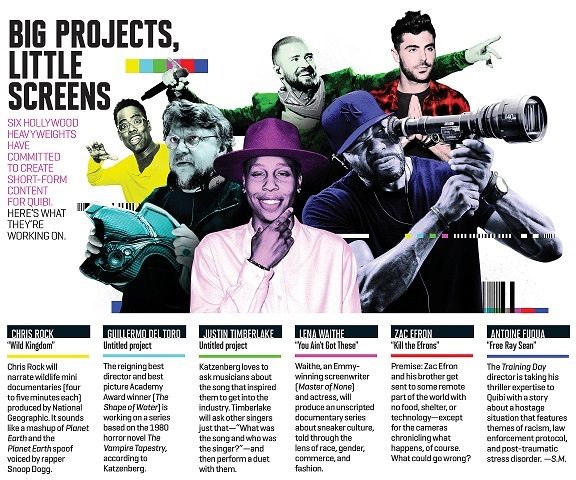 With existing platforms like Netflix and even Amazon are adapting to this desire for short-form video content, success may seem like a long shot, but Quibi has already managed to recruit a long list of high-profile partners, including filmmakers Sam Raimi, Guillermo del Toro, mega-pop musicians Justin Bieber and Justin Timberlake, and even basketball legend Kobe Bryant. The streaming service isn’t set to launch until April 2020, however, the platform is stirring up conversations of the future of TV and how we digest content. Why it’s hot: As our daily lives become increasingly more busy, and with more platforms than ever competing for our attention, Quibi is taking a huge gamble on the future of TV and the future of wholly-owned short-form video content. With our limited attention spans and on-the-go lifestyles, there’s a growing need for platforms to adapt and change to how we digest content throughout the day. Posted on March 8, 2019 by G.S. Just in time for International Women’s Day, Budweiser is releasing reimagined ads from the 50’s and 60’s for today’s audience. Understanding that sexist ads that objectify women no longer fly with consumers who expect brands to be more progressive, Budweiser is re-releasing the ads to nod to their past heritage, but make a point about its future. 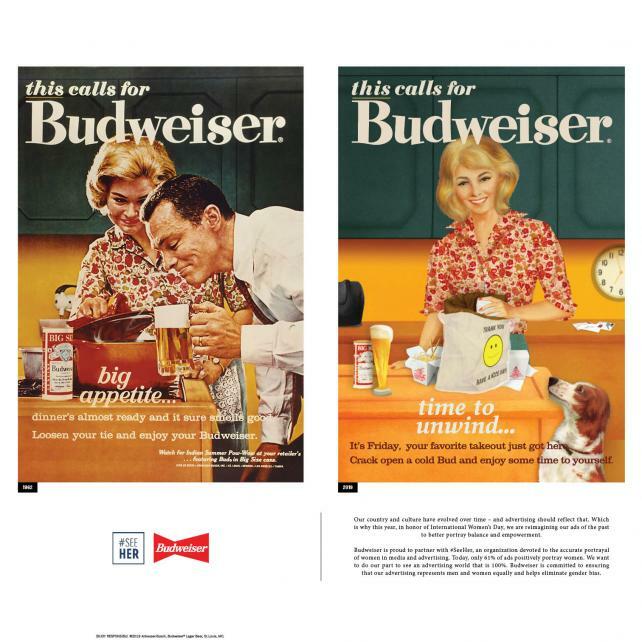 The campaign, released today in conjunction with International Women’s Day, features full-page color ads in The New York Times, Chicago Tribune and Los Angeles Times that juxtapose sexist Bud print ads from the 1950s and 60s with updated versions portraying women in empowered roles. 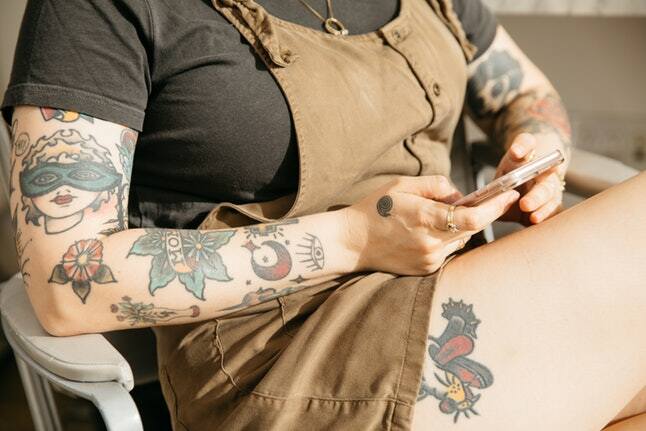 Women now comprise more than 80% of the brand’s marketing team, so it’s refreshing to see that for them it’s about using their past to serve as a launching pad to show women in a more balanced way. 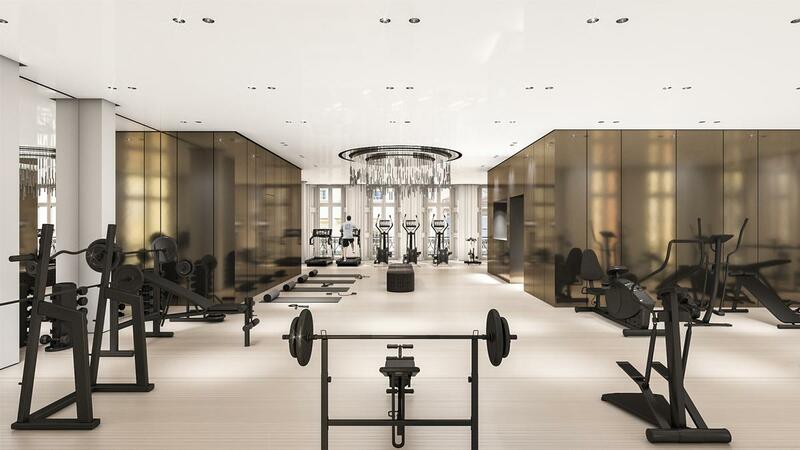 Rather than hide their sexist past, the brand is showing how they can evolve in their thinking, especially in these times of extreme divisiveness. would you free climb for a free film? To promote its documentary about rock climbing, National Geographic has built a website urging people who want to watch it to do so. For every meter they ascend, Nat Geo unlocks a portion of the film “Free Solo” they can watch for free. Theoretically, this sounds like a great idea. People who climb, might be interested enough in a movie about people who climb, to go climb as a result. But, REI urging us to “Opt Outside” is one thing, asking us to climb a rock to unlock free content seems a bit another. This reminds us we should really think about the value exchange we’re providing in our marketing today. Is what we want worth what we’re asking people to give for it? Wearable devices that could identify when an at-risk individual that might experience suicidal thoughts a day in advance and alert the person and their trusted contacts, might soon be a reality. 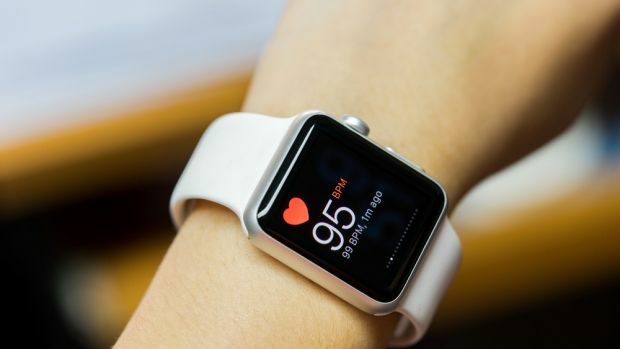 Fitness trackers and other electronic devices already monitor our physical activity, and scientists say similar technology can be used to track our psychological health in ways never before possible. New apps and wearables could soon help preserve our mental well-being by spotting early signs of emotional distress. Psychiatrists rely on patients to tell doctors how they feel as the main input for their decisions. Mood forecasting technology could give doctors more reliable information. Research shows that changes in our mental state, including sadness or anxiety, affects our bodies in discernible ways. Mood forecasting exploits the connection between the mind and the body. Heart rate, pulse, perspiration and skin temperature are all affected by emotional arousal. Additionally, the pace at which we text, call and post on social media all change with our moods. Academic researchers and private companies are working to develop devices and programs that not only detect and interpret our biomarkers but also respond with helpful advice. For example, a mood-forecasting device or app might urge someone to call a friend when they have cut back on texting, or take a walk when the device hasn’t registered motion for several hours. Alternatively, shifting biomarkers or digital behavior could be communicated directly to an individual’s doctor, who could then intervene as necessary. Why it’s hot: Mood forecasting could prevent bad moods, emotional suffering and potentially dangerous situations before they occur. Although there is some apprehension around the idea of collecting and transmitting such intimate personal data, the positive effects of such technology could be monumental.